Where do all the champions go? Such was the question Martin O'Connor contemplated as he thought about what might happen to his Cox Plate victor, Fields Of Omagh when he eventually finishes racing. 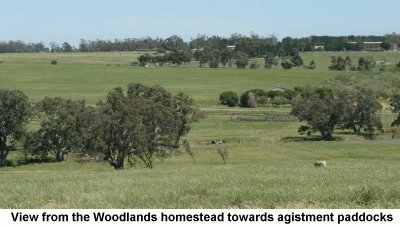 According to O'Connor, "upon retirement, most of Australia's racing greats find themselves parked in a back paddock somewhere." They are well enough looked after and sometimes they are dusted off and get to lead out the field at a country cup, but normally they are inaccessible to the adoring racing fans who followed every footstep of their racing career. Japan Cup and Cox Plate winner Better Loosen Up has spent years at Lindsay Park grazing anonymously on the lush pastures. Super Impose has a job as a nanny for 6 yearling colts at Glenlogan Park stud on Queensland's Darling Downs. Champion mare Sunline was last seen looking muddy and bedraggled with her new born foal in a paddock in New Zealand. "Wouldn't it be great if racing's champions could be located at a retirement home, where the public could see them and they could receive the best attention? ", O'Connor thought. Being closely associated with Champions - The Australian Racing Museum, O'Connor knows a thing or two about the preservation and promotion of our racing history, so he took it upon himself to turn his dream into reality. 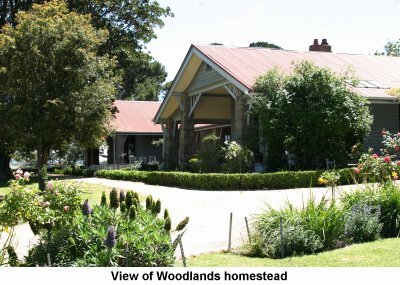 His project, The International Home of Rest for Champion Horses, came a step closer to fruition last Friday when a host of dignitaries from government and racing descended on Woodland Park, an historic grazing property close to Tullamarine Airport, to announce a partnership with Parks Victoria. 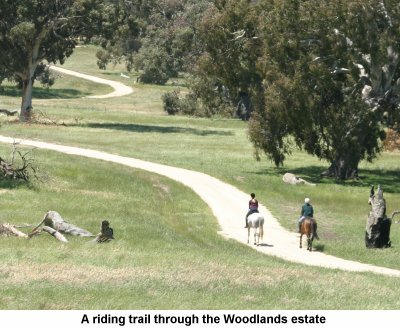 The announcement, by Victoria's Minister for the Environment, John Thwaites, will see Woodlands transformed into "a living, breathing museum, offering the public an opportunity to view their favourite champions and memorabilia associated with the horses and Victoria's horse racing industry." 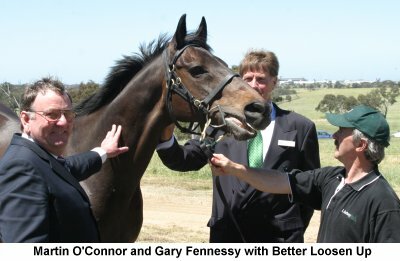 On hand at the launch were two of the planned initial residents, Better Loosen Up and Caulfield Cup winner Sky Heights. Multiple Group 1 winners Mahogany, Might And Power and Northerly are also scheduled to be part of the initial champion line up at Woodlands. 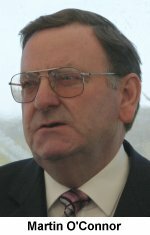 O'Connor paid tribute at the launch to the support he has been given by his Board of Trustees, Parks Victoria, Racing Victoria, the Friends of Woodlands support group and Champions Australian Racing Museum and Hall of Fame. 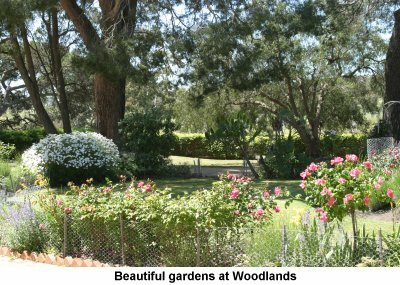 An indication of the amount of work required to get the project to its current stage was O'Connor's estimate of $100,000 of legal work in creating trust deeds, leases and so on donated by legal firm Deacons. 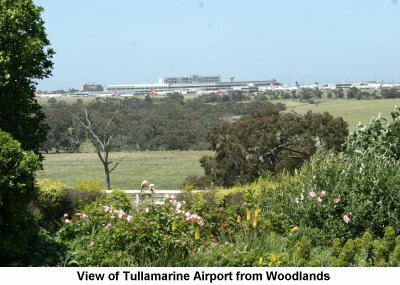 In his speech, Minister Thwaites described the historic association between Woodlands and racing, with race meetings being held on the property in 1847 and a succession of racing administrators living there, such as former VRC Chairman Charles Fisher and VATC Chairman Ben Chaffey. 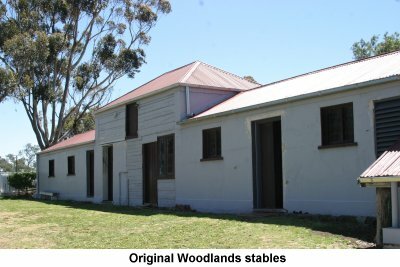 Champion horses formerly stabled on the property include Manfred and Whittier. Friday's announcement is only the start of the International Home of Rest for Champion Horses project. 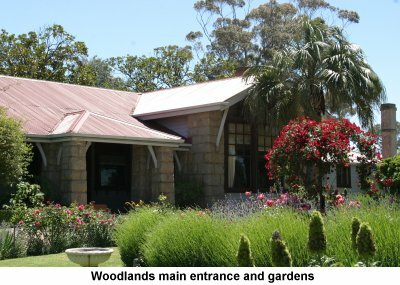 Work will now commence on building facilities for the initial residents, planned to move in March 2005. 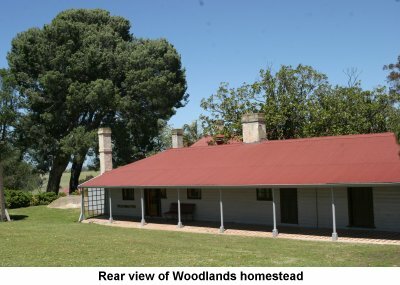 The Woodlands homestead will become an exhibition centre for memorabilia celebrating the careers of its Champion residents. Entry will be free to the public and it intended that the Champions will be on hand for the public to get close to. 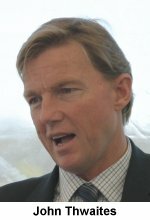 A Management Committee is to be selected for the Home, with prominent racing, breeding, industry and research leaders to be involved, including overseas experts. 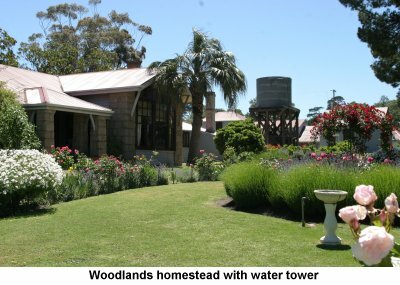 Interested parties can find out more from Martin O'Connor at moconnor@moconnor.com.au.